Effective October 1, 2008, concepts of primary residence, secondary residence, and visitation were abolished in Florida law. Currently, parents who are either divorced/divorcing or never married must have a divorce “parenting plan.” Florida law requires, at a minimum, each parenting plan to describe in adequate detail how the parents will share and be responsible for the daily tasks associated with the upbringing of the child; the time-sharing schedule arrangements that specify the time that the minor child will spend with each parent; a designation of who will be responsible for any and all forms of health care, school-related matters, and other activities; and the methods and technologies that the parents will use to communicate with the each other and with the child. A “time-sharing schedule” is a timetable that specifies the time, including overnights and holidays, that a minor child will spend with each parent. Time-sharing is for the primary benefit of the child or children and not the parent. Children should not be exposed to hostility or conflict between the parents. Determining parent access to children is one of the most difficult and problematic areas of divorce. It often contributes significantly to parent conflict and litigation. Yet, there is a limited amount of empirical research on the most appropriate arrangements for children. There is no single time-sharing arrangement that has been determined to be optimal for all children. Thus caution is important in proposing a specific time-sharing arrangement. The circumstances of each family are unique, and recognition of their unique circumstances is central to making good parenting choices. “One size fits all” approaches to developing parenting arrangements are inappropriate and may be harmful to some families. It is not the purpose of the Courts to establish a single standard or “best” parenting arrangement. 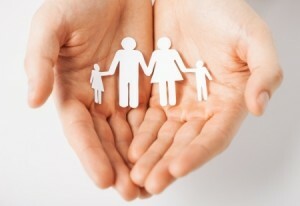 The court will review your divorce parenting plan to see that it fulfills the best interests of the children. The applicable Florida Statute is Section 61.13. Important factors in determining access are age and developmental needs of the child, the psychological attachment of the child to each parent, the manner in which child-rearing tasks have been shared, the consistency and predictability of the scheduled time-sharing, the child’s temperament, resilience, and resourcefulness, the child’s ability to handle change, and the parents’ work and work schedules. Parents should keep in mind that the time sharing schedule selected should be age appropriate. Child experts (and many parents) recommend that more frequent but shorter periods of time sharing be scheduled for younger children, while older children often benefit from longer but less frequent periods of time sharing. Consequently, the time sharing schedule may need to be modified as the children age.